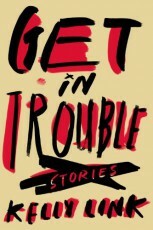 Kelly Link, author of the short story collection, Get in Trouble (now out in trade paperback), is interviewed by Richard Wolinsky. Kelly Link writes short stories that employ fantasy and science fictional elements in a way that is remarkably unique. This collection shows her virtuosity and originality.